A giant version of the table top Pong game. 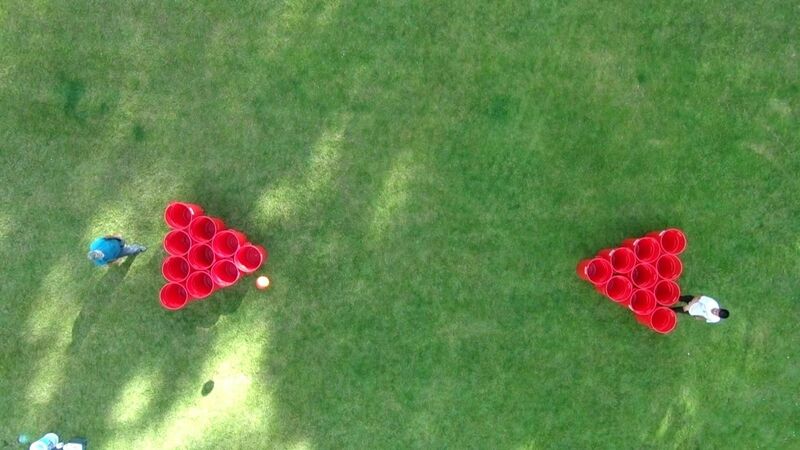 This 20 can set is known as Giant Root Beer Pong On Steroids and is a very popular group game! 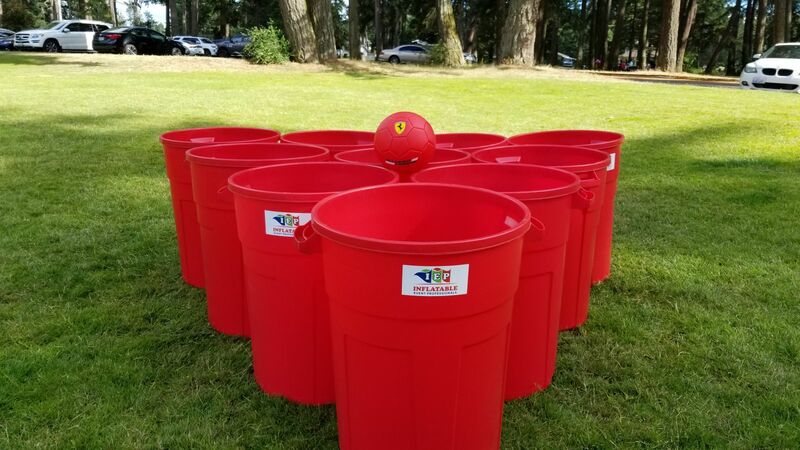 Order our 32 Gallon red plastic "cups" and an oversized "pong ball" for your next event. This game will keep your guests of all ages entertained for hours. Fun for all ages -With our new Giant Pong game, you take the excitement of the game of pong to the next level. You play this game the same way as pong. The object is to throw or bounce the ball into the other teams buckest and slimiate all of the other teams' buckets before they eliminate all of yours. This is great choice for graduation parties, family reunions, corporate events and birthday parties. With this giant version of pong, you can entertain your guests for hours.